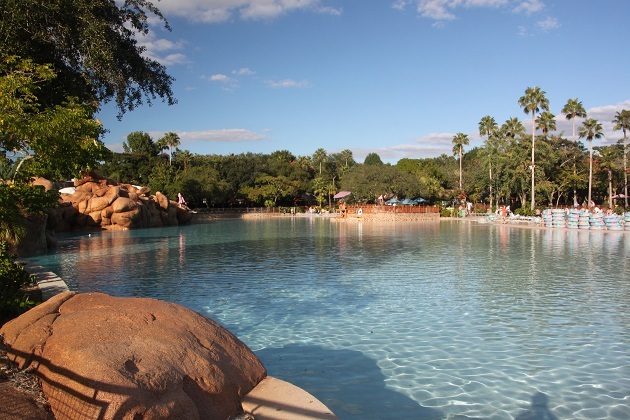 Another trip away from the theme park madness, we decided to spend a chilled out day at Blizzard Beach, one of the two Disney water parks in Orlando. 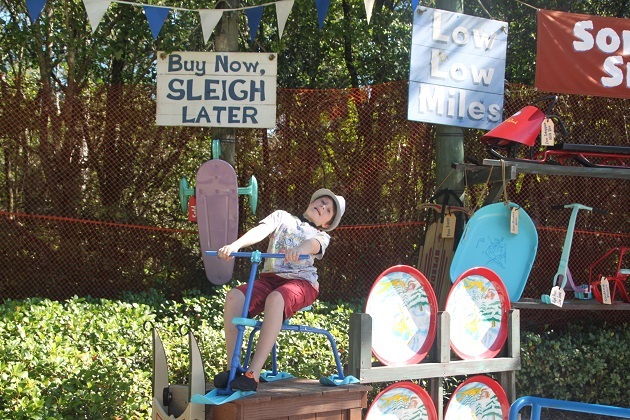 This is a 66 acre attraction, inspired by a ski resort with skis and snow references just about everywhere you look. 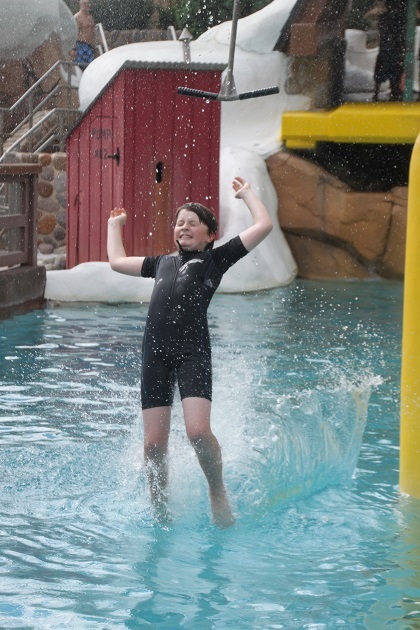 Son loves nothing more than a day messing around in the water, Husband can take or leave water parks, I am firmly in the leave it camp but we did actually all enjoy our day here. The boys had stacks of fun and I used the time to catch up with reading and relaxing. The water parks don’t open until 10 so a lazier morning than normal as we didn’t feel the need to be here from the off. The car park was fairly empty when we arrived, I guess in late October, although it was plenty hot enough for us sun starved Brits, for the natives and others used to warmer climes it would perhaps be a little chilly. The benefit for us was no lines at all, no issues finding a nice shady spot to park our bags and belongings for the day and a very chilled out atmosphere. We took a stroll around first to plan our day – beautifully landscaped paths and walkways, the whole place was immaculate and so peaceful. Mount Gushmore is the snow capped 90 feet high peak and the centrepiece of the park. On top of this is the launch pad for Summit Plummit – apparently one of the world’s tallest and fastest free falling rides. It is 120 feet tall, 13 storeys high and you go straight down at 60 miles per hour. Not my idea of fun. They recommend ladies wear a one piece bathing suit to eliminate the risk of the top of a bikini arriving at the bottom before the owner. Son and Husband did it and both emerged intact with swimming gear in the right place. We also took a ride on the chair-lift – a one way trip to the top of the mountain and then a slide back down again. Great views of the park and surrounding area from up top. Ski Patrol Training Camp was a big hit with Son. Several attractions in close proximity but he loved the floating icebergs and ice berg walks and the biggest thumbs up was the T-Bar. This zips you down into 9 feet of water. Apparently lifeguard rescues happen here several times a day because children (and parents) don’t realise the water is so deep. We rode Teamboat Springs together and experienced twisting and cascading waterfalls in a very large family raft. Next up was Cross Country Creek where we hopped into a tube each and floated around the 3,000 foot creek encircling the park. It takes 30 minutes to do a full circuit but is so nice and relaxing – except for the shock of icy dripping water in the ice cave. The ground gets super hot and slippery, we were very glad to have remembered our water shoes. Equally for using the bathrooms – the floors did not look so nice and I was pleased not to be in bare feet. Husband and Son spent the rest of the afternoon on the slides and rides while I plonked myself in the shade on a sun lounger with my book – a win win situation. We stayed until the bitter end and closing time arrived far too soon for Son. 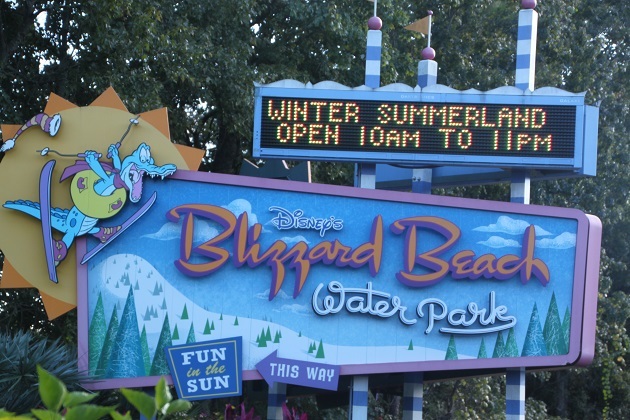 After much step-climbing and racing around we dragged our weary bodies back to the car all in agreement – Blizzard Beach was a blast. You are right. That is already scary enough only watching it! It all looks fun. I would have sat most of it out too as I’m not a big fan of swimming and definitely not those big slides. That is exactly my view on it all!! I used to do more when our son was younger, but for (years now) he has been a better swimmer than me so can sit most of it out!! That suits me, a shady spot and a good book and I’m happy. It looks like a wet suit but is actually just a regular swimsuit – good for sun protection!! The water was chilly at first but you quickly got used to it and the outside temperature was still around 28 degrees so warm for us!! Joy, I know your son had a blast! But, I would have sat it out! The 60mph free-fall made me gasp! So glad your guys enjoyed! How cool! We booked a holiday in Greece in a similar place and I’m so looking forward to it, especially after reading your experience! 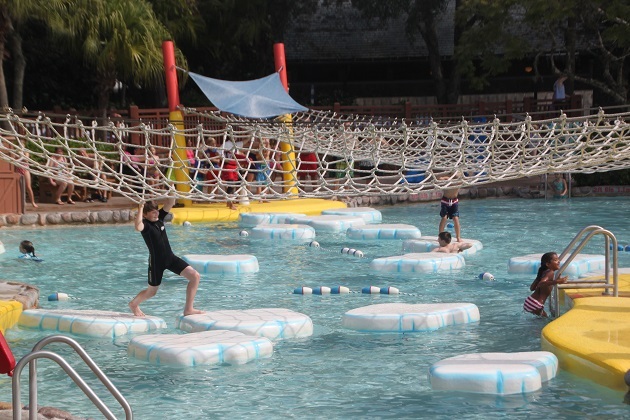 You’ll love it – kids (and adults) have an absolute blast at places like this, so much fun!! Can’t believe how empty the place looks in your photos- last time I visited it was positively heaving! I did Summit Plummit back when I was a fearless teenager and remember being very glad for my one-piece suit! Looks like you guys had a blast! It was loads of fun – definitely helped though by the lack of crowds, some people around but it was far from packed. I guess in late October it’s a good time to visit if you want to avoid lines and have it mostly to yourself!! Boy, was he having fun! Great action shots. This is his idea of heaven Anabel – a bit different to mine!! Yeah, wouldn’t be my choice either but fun to watch! 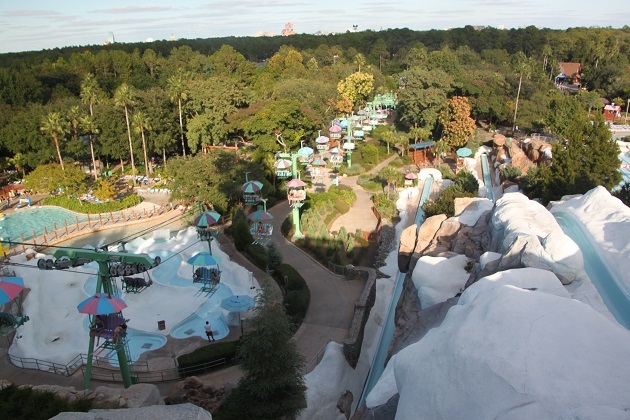 Which did you prefer, Blizzard Beach or Typhoon Lagoon? When I went to Florida in the 1990s River Country was still open but it has gone now, did you ever go there? It’s years and years since I went to Typhoon Lagoon and I can’t remember too much about it really. 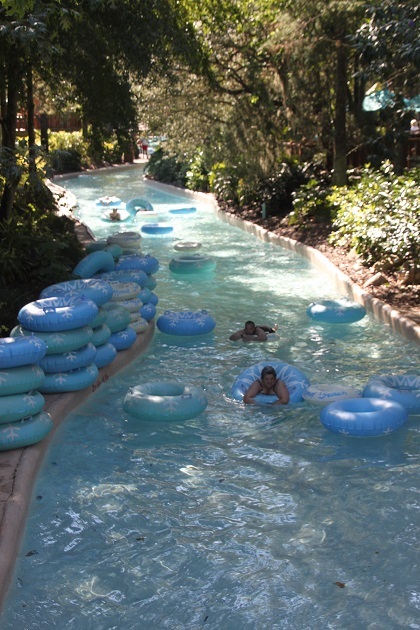 That said we did go to River Country as well – even more years ago and I remember loving that – a bit like a rustic wilderness type place (right??). That’s the one! 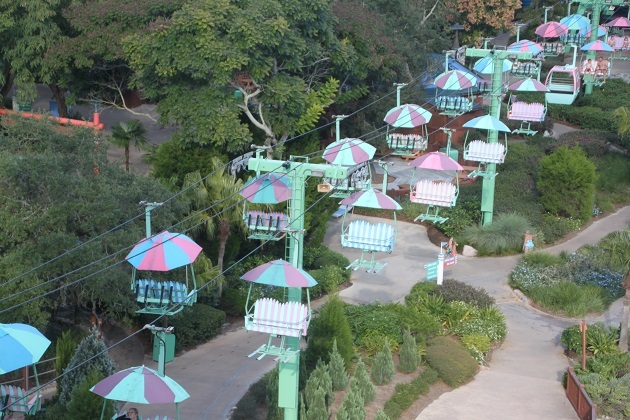 Typhoon Lagoon is the one with the wave machine! 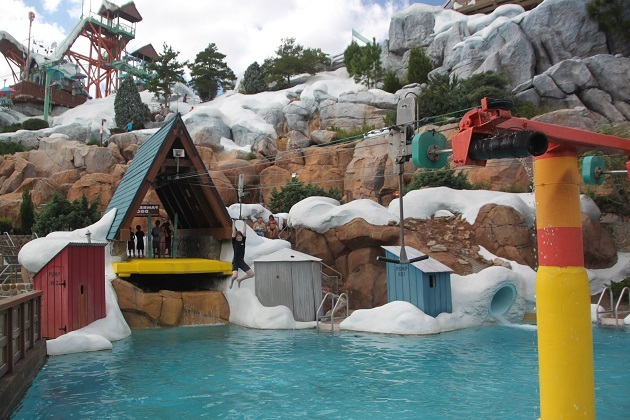 Starting to come back to me now – I think we opted for Blizzard Beach this time because Typhoon Lagoon was closed for refurbishment. 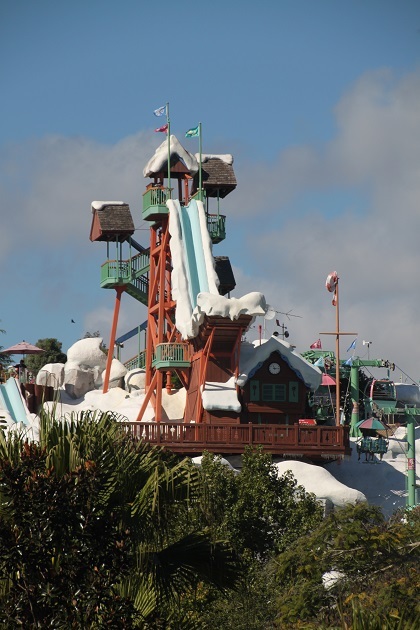 It was – slides galore and the place almost to ourselves, perfect! My husband and kids would completely love that place. We have been to several indoor pools where they have fun things like obstacle courses and rafting and things but obviously nothing approaching this scale. I can imagine them spending a whole day messing about in the water. I would be like you and would enjoy watching them while reading a book. It’s great for boys to burn off just a little bit of that excess energy! 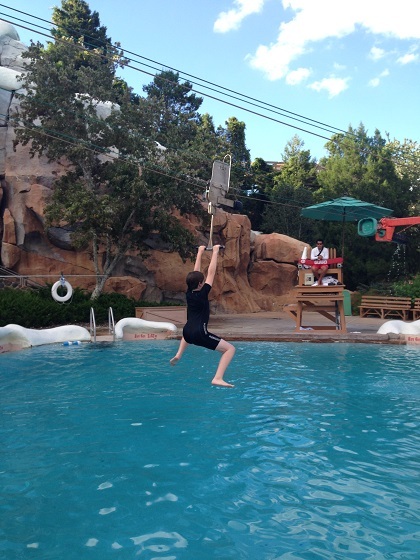 Our son had such a great time here, I think he would have spent all day every day of this holiday at a water park. I on the other hand would not but I made great progress with my book!! That kid is having so much fun! Can I swap with him for a month or so 🙂 ? You sure get around! You should have tried the slide once. I admit I would have been thinking twice though. 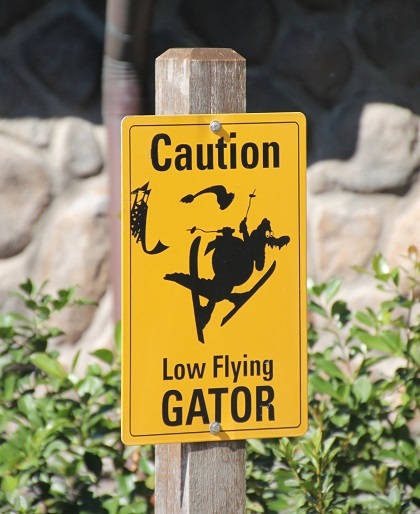 Ooh – it was a bit too high, a bit too steep and a bit too much for me – just looking at it was bad enough!! We had a family trip there when I was a kid, so much fun! Definitely the best water park I’ve ever been to! It’s so much fun – and the sunshine too, a bit of a novelty for us!! I love how there are chair lifts in this water park too! The scale of the place – it’s huge!The T-Bar and Icebergs looks so much fun. Think I would like those too! It is huge and so much fun – the chair lifts are a great way to get to the top – the T Bar is a great way to go down!! If you like water parks this one is superb. It is such a fun place – you need plenty of energy though!! And kids have PLENTY of energy! Ohhhhhhhhh my husband would LOVE this place! He is obsessed with water slides! He even made sure that he was able to go down a water slide the morning of our wedding!!!!!! Haha! That’s a great way to start married life though! Ooh what a way to find out not to wear a bikini body-boarding Rosemary – definitely the hard way!! Still makes for a good story and a chuckle though!! Hope your weekend is a great one too. Yes I felt so silly Joy – I am not a water person at all and certainly not in the surf! At least we were on holiday so no one knew us!! It’s a great story Rosemary!! Fortunately some years ago now Joy so no photos to embarrass me further!! This looks like so much fun! We had to skip the water parks for time restraints when we went to Disney last year. I will be adding them to the list for next time after seeing how awesome they are. 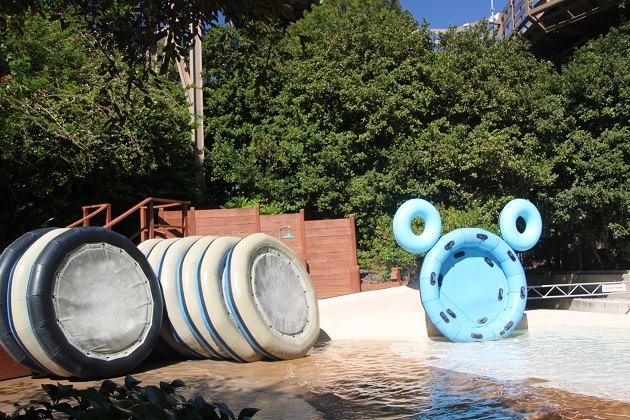 Sometimes you just can’t fit everything in and do it all but if you have a spare day here and there it’s a great idea to visit the waterparks. They are relaxing for a start but loads of fun and so nicely landscaped, definitely worth a spot on the list!! 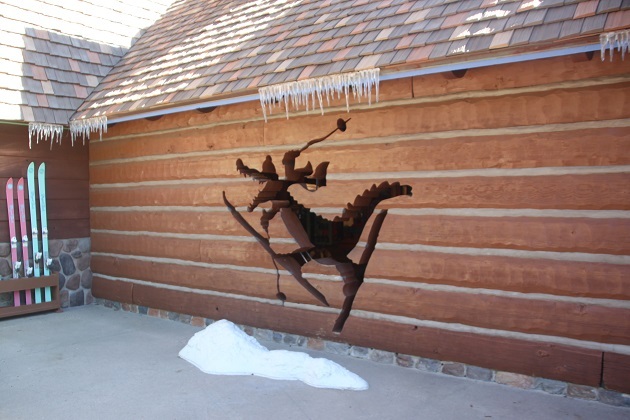 It is a great day out – fun for kids and adults alike!! This looks like super fun. Glad there’s the opportunity to just relax and spectate sometimes though. The relaxing is one of the great parts about this place! !